It’s a whole new world out there, and in his latest book Free, Chris Anderson is going to teach you how to navigate the waters. In this lively, fast paced, full-of-humour, and completely relevant book, Anderson tackles the digital realm with intelligence, showing us the value of free and the hundreds of new business models that have emerged as a result of the increasing trend of the world of atoms converting into bits and bytes. In his first book, The Long Tail, Anderson taught us that three factors (decreasing production costs, decreasing distribution costs and aggregate sourcing) were having a dramatic effect on the global market. Virtually any niche in which you might be interested has (or will soon have) a thriving online community. Creating content for that niche and connecting with other passionate individuals has never been easier. 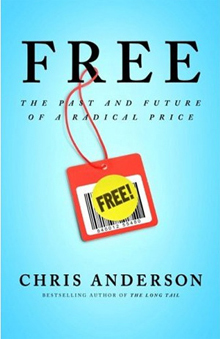 In Free, Anderson takes a closer look at one of the unique effects of the ease of production and distribution of new products – that is, the incredible competition that exists in the online world. It was inevitable, wasn’t it? If it costs us effectively nothing to start producing and supplying content to the world via the Internet, then we can only assume that there will be competition, and lots of it. In any competitive environment, price is driven down to what is known as “marginal cost” – effectively just a little bit more than production cost. This phenomenon is more commonly referred to as a “commodities industry”. So what happens when the production cost is zero? “Marginal cost” becomes “zero cost”, and we enter a whole new world of economics. "Money was how we kept score." That’s the traditional (read: 20th century) business model. We kept score through dollars and cents. While money still keeps the world turning, there’s a whole new economy emerging – the economy of celebrity. Reputation and attention are two currencies that are rapidly taking over the digital world. To be fair, they’ve always played a role in business (brand reputation and relevance), but their specific impact has started to change in the last 15 years. Think about it – in an economy of Free, eyeballs matter as much as the money you’re bringing in. As Gary Vaynerchuk said in his landmark book Crush It!, once you have enough eyeballs, any entrepreneur worth his salt can convert that into income. 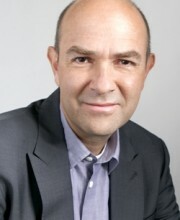 Chris Anderson takes the idea one step further by suggesting how you can monetize attention and reputation. Better still, he points to countless examples of companies that have done just that – monetized attention through creative methods. "Abundance thinking is not only discovering what will become cheaper, but also looking for what will become more valuable as a result of that shift, and moving to that." If your job or industry is rapidly being replaced by technology and online applications, what more can you offer your customers and loyal fans? What unique offering? What personal attention? What time saving devices or advice? Musicians have realized that “free” has opened up a much larger audience base – people willing to try their music, since the cost to do so is nothing more than a few minutes of their time. Their income is now generated through unique experience (concerts, premium packaging, memorabilia). To determine your own answer, think as a consumer: “If I’m now getting for free what I used to pay for, where else could I put that same money for an even better experience?” It may take some creative thinking, but the answer is there. Look at it this way: greater recognition and awareness is never a bad thing. It just takes some new thinking to monetize. It may also take a little work to build that “bigger exposure” that Free allows. 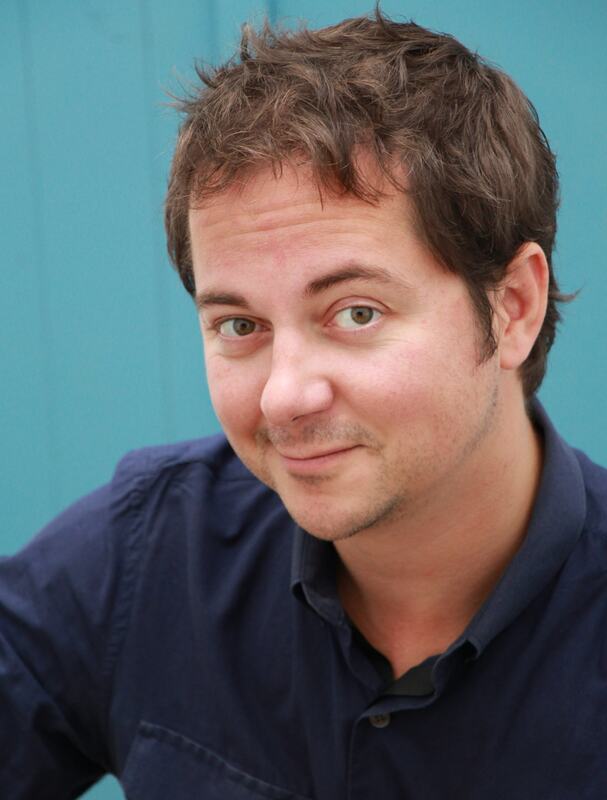 "Take whatever it is you are doing and do it at the max in terms of distribution. The other way of saying this is that since marginal cost of distribution is free, you might as well put things everywhere." Facebook, blogs, dozens of instant messengers, thousands of social networks and beyond. Your audience (regardless of your product, service or niche) is out there, they’re just not all hiding in one place. As Schmidt reminds us, the cost of reaching them – the hard cost in terms of dollars and cents – is zero. It’s Free. We do, however, need to put in the work to find them. Create some low budget videos for YouTube. Upload a slideshow highlighting your business to Slideshare. Promote your site through Twitter and blogs. One at a time, through personal interaction, we need to reach out through the myriad of communication messages and let them know we care about them as individuals. It’s refreshing, really. Gone are the days of buying a TV spot or billboard ad and connecting with everyone we want to. Yes, it takes more work to connect through a wild variety of mediums (a variety that is growing every day), but it also levels the playing field. The important thing to remember is that information is free and competition is fierce precisely because the cost of going into business is so low. We have the ability to experiment – to “play” – with a risk of wasting nothing more than our time. There is no limit on the number of webpages you can create, or the number of videos you can upload to YouTube. Reputation and attention are the currencies of the 21st century, and they can be gained through genuine caring for your customers and a passion for what you do. The world of Free has some new rules, to be sure, and some people/companies that have enjoyed success in the past model may not be able or willing to make the switch. But for those who do, the world is truly your playground. I encourage you to play.